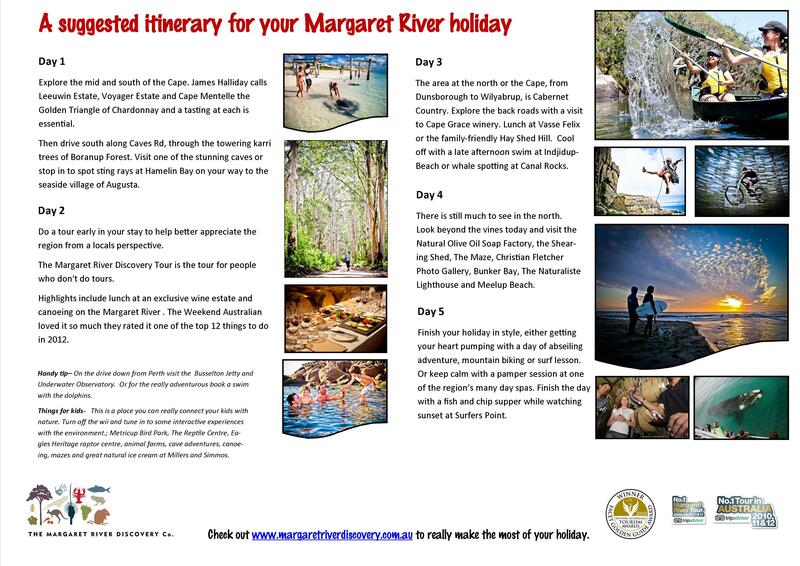 Below is a suggested itinerary of things to do in Margaret River to help you get the most out of your Margaret River holiday. The Margaret River Discovery Tour and Margaret River Best of the Best Wine Tour usually sell out a few weeks in advance so I recommend booking sooner rather than later. Feel free to download and print. Explore the mid and south of the Cape. James Halliday calls Leeuwin Estate, Voyager Estate and Cape Mentelle the Golden Triangle of Chardonnay and a tasting at each is essential. Then drive south along Caves Rd, through the towering karri trees of Boranup Forest. Visit one of the stunning caves or stop in to spot sting rays at Hamelin Bay on your way to the seaside village of Augusta. Do a tour early in your stay to help better appreciate the region from a locals perspective. 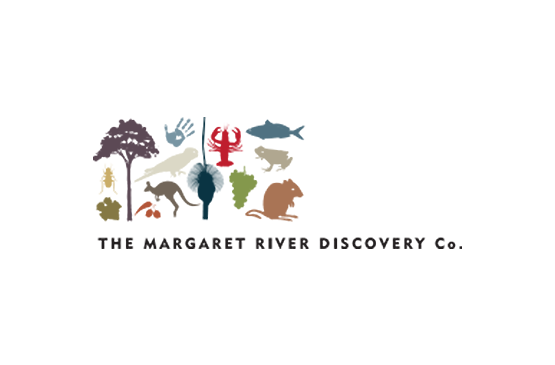 The Margaret River Discovery Tour is the tour for people who don’t do tours. Highlights include lunch at an exclusive wine estate and canoeing on the Margaret River . The Weekend Australian loved it so much they rated it one of the top 12 things to do in 2012 and consistently rated the #1 thing to do in Margaret River on the Tripadvisor website. The area at the north or the Cape, from Dunsborough to Wilyabrup, is Cabernet Country. Explore the back roads with a visit to Cape Grace winery. Lunch at Vasse Felix or the family-friendly Hay Shed Hill. Cool off with a late afternoon swim at IndjidupBeach or whale spotting at Canal Rocks.(seasonal). There is still much to see in the north. Look beyond the vines today and visit the Natural Olive Oil Soap Factory, the Shearing Shed, The Maze, Christian Fletcher Photo Gallery, Bunker Bay, The Naturaliste Lighthouse and Meelup Beach. Or get a whole different perspective on the region with Wild Blue Helicopters. Finish your holiday in style, either getting your heart pumping with a day of abseiling adventure, mountain biking or surf lesson. Or keep calm with a pamper session at one of the region’s many day spas. Finish the day with a fish and chip supper while watching sunset at Surfers Point. 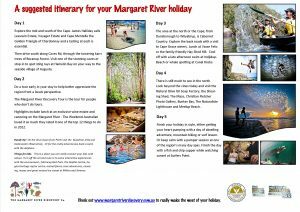 Things for kids to do in Margaret River – This is a place you can really connect your kids with nature. Turn off the wii and tune in to some interactive experiences with the environment. ; Metricup Bird Park, The Reptile Centre, Eagles Heritage raptor centre, animal farms, cave adventures, canoeing, mazes and great natural ice cream at Millers and Simmos. And the new water park, Xscape the Cape, in Dunsborough is a real hit! Handy tip– On the drive down from Perth visit the Busselton Jetty and Underwater Observatory. Or for the really adventurous book a swim with the dolphins. The Largest Flower Show on Earth.